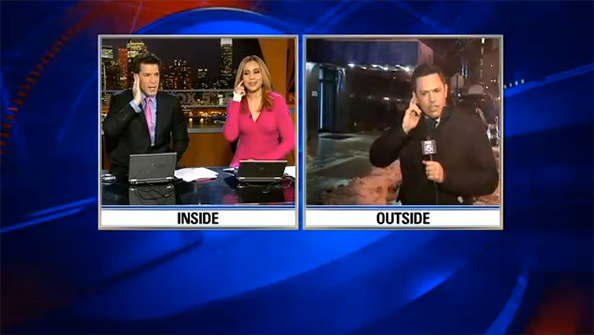 WNYW-TV, the Fox O&O in New York City, decided to a story about … how annoying local news can be (why? because it’s sweeps). “Local news can really be a bit much … silly stories, pointless live shots, endless cliches,” was the lead in read by the anchors, who pitched to a live reporter standing outside the station where “absolutely nothing” was going on. The package itself contained shots taken from local news across the country, including Chicago’s WMAQ-TV’s image campaign and WSB-TV’s epic 25 box.